Can you believe the time has come? On Wednesday night, David Letterman will take his final bow as a late night talk show host. That's right, the Late Show With David Letterman is ending and it feels like only yesterday it was announced that the comedian would be stepping down after 22 years as host of the show, and 33 on late night in total. Even though Stephen Colbert is taking over the Late Show , it will still be sad to say goodbye to the TV legend, who made so many memories for himself, guests, and fans. With that said, let's take a moment to remember the time Letterman chatted with Benedict Cumberbatch. I mean, is there a better way to say farewell to a great talk show host than by remembering the one time he chatted with the amazingly talented actor known as Sherlock Holmes, Smaug, and Alan Turing? I don't think so. When the Oscar-nominated actor appeared on Letterman in 2013 to promote Star Trek Into Darkness, he served up a lot of sass. Who can resist that? I know I can't. Here are several of Cumberbatch's best moments from his chat with Letterman. Not only will Cumberbatch fans never forget this interview, but it's a great way to honor the longstanding talk show host who's truly impacted late night TV. There's no doubt that Cumberbatch is beloved for his hair. It's ever-changing, which comes with the territory of an actor. I don't know about you, but I'm digging his dark locks on the Late Show . Cumberbatch is known for being adorable, so when he told Letterman, "I'm still a kid, Dave, at heart," he became that much cuter. Seriously, this man is the greatest. Did you know he auditioned to play James Bond — for a computer game? He didn't get the part, but this makes me think: why hasn't he been cast as James Bond in a movie yet? One of the greatest parts of the interview was when the talk show host showed that famous Cumberbatch/otter meme. 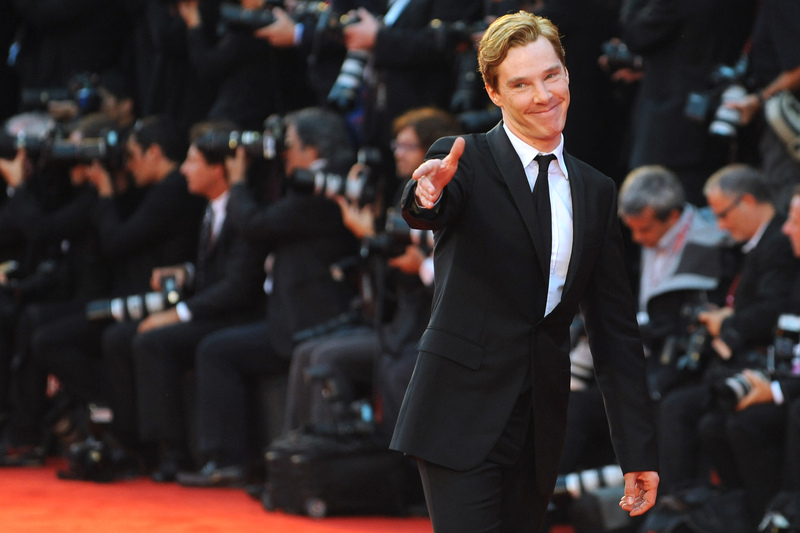 What makes it so fantastic is how Cumberbatch doesn't shy away from the jokes. As if he wasn't already talented, he once taught English at a Tibetan Buddhist monastery. How amazing is that? It was a great experience for the actor who told Letterman that his students taught him way more than he taught them. During his teaching stint, Cumberbatch went trekking in Nepal with some of his friends. However, thanks to the altitude, he experienced hallucinations. He didn't go into detail, but I have a feeling it probably felt like he was actually Sherlock Holmes. Even though Cumberbatch appeared on Letterman to talk about Star Trek, the host still got the movie title wrong by calling it Star Wars. Of course, the actor rolled with it, but he still had to explain his character more than once to the host. Thank you, Benedict and Dave, for such great memories.